Timber bridge research has been a focus area for the Bridge Engineering Center since the mid-1980s. The program includes continued and progressive timber research and extension activities managed by the National Center for Wood Transportation Structures, a research-based center at Iowa State University’s Institute for Transportation. The NCWTS is also supported by the USDA Forest Service and the Federal Highway Administration. Their timber bridge research includes an emphasis on the development of smart timber bridge systems and standardized plans and resources for timber bridge designers and engineers. 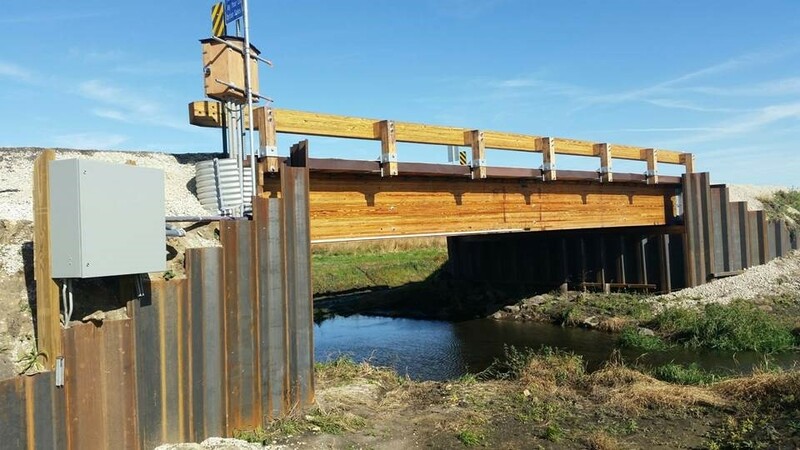 For example, in 2016, a smart timber demonstration bridge was built in Buchanan County, Iowa. It consists of a glulam girder superstructure supported on geosynthetic-reinforced soil foundations with an extensive structural health monitoring system that continuously monitors both the substructure and superstructure remotely. For detailed information on this research project as well as other past, current, and upcoming research topics related to timber bridges please visit the National Center for Wood Transportation Structures.